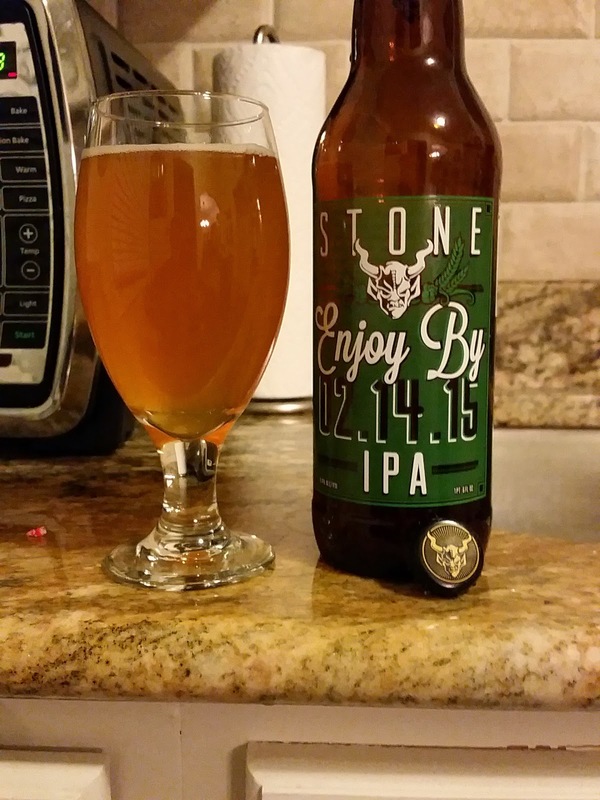 It's Valentine's day today and it looks like Stone Brewing has an IPA that we just have to enjoy by today. This Enjoy by IPA series is pretty fascinating to me. They brew and distribute a double IPA that will only be good if you drink by the date on the bottle. I was able to track down this bomber up in Linden, MI at Merchants Gourmet Wine Shop before recording the second episode of Slurred Words.
" You have in your hands a devastatingly fresh double IPA. Freshness is a key component of many beers - especially big, hoppy IPAs - but we've taken it further, a lot further, with this one. 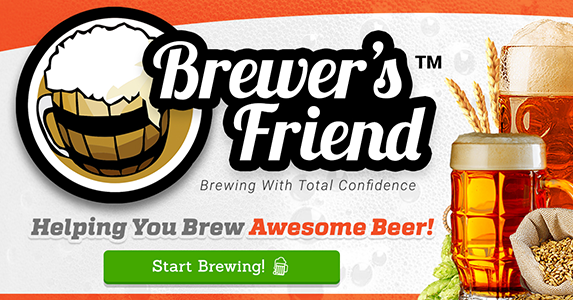 We brewed this IPA specifically NOT to last. We've gone to extensive lengths to ensure you get your hands on this beer within an extraordinarily short window, and we've sent a very clear message in the name of the beer itself that there is no better time than right NOW to enjoy this IPA!" I used one of my new Beer Bro Bottle Openers to pop this beers top. It was super easy and convenient. Not only did it open the bottle without bending the bottle cap but it also caught the bottle cap. 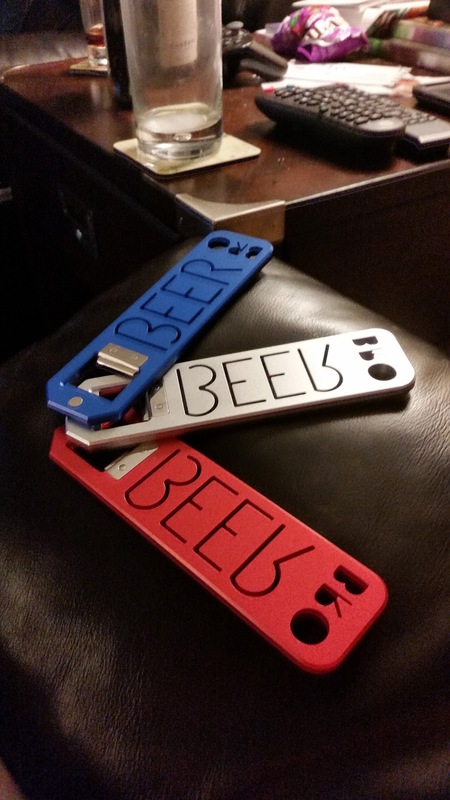 I look forward to using the Beer Bro Bottle Opener for many years to come. The Enjoy By 02.14.15 IPA pours with a burnt orange-ish color. It is very hazy and has a small head that dissipated quickly. There was a strong grapefruit and hoppy smell to this Double IPA. The taste follows the smell with a very up front and strong grapefruit taste. The hoppiness follows the grapefruit, and tastes very good. I loved this hoppy taste. It is very smooth, not a lot of carbonation. I did enjoy this by 02.14.15, Happy Valentines Day to me! I hope I can get my hands on the next Enjoy By IPA, which is the Pie IPA (Enjoy By 03.14.15). According to the Stone Brewing Co. distribution website they are not distributing it in MI, but right across the border in Toledo, OH is where I will have to go to find the next enjoyable IPA.